The river cruise industry is growing like gangbusters. In 2014, dozens of new river ships will enter service and offer an array of new itineraries in places such as France, the Danube, the Mekong through Vietnam and Cambodia and Myanmar (Burma). Here is a look at river cruising’s Class of 2014, the new ships that will enter service this year. AmaWaterways will introduce the new 56-passenger AmaPura on Myanmar’s Irrawaddy River beginning in November. It will operate 10- and 14-night cruises to Yangon (Rangoon) and other centuries-old cultural sites, ancient temples, shrines, cities and pagodas. The 28 suites have a French balcony, a step-out full balcony or even twin balconies. AmaWaterways also is introducing two new river ships in Europe, the 164-passenger AmaSonata and AmaReina on the Danube and Rhine rivers, respectively. They’ll have twin balcony staterooms and suites, several dining venues, a heated pool with swim-up bar, a glass elevator and a fleet of bicycles. A file photo of Empress of the North, which will be reborn in April as the American Empress in the Pacific Northwest. It’s not a new ship, but American Queen Steamboat Company will begin operating its second riverboat, the 223-passenger American Empress, on the Columbia and Snake rivers between Portland, Ore., and Clarkston, Wash. The American Empress formally operated as the Empress of the North for the now-defunct Majestic America Line, but last carried passengers in 2008. American Queen Steamboat is refurbishing the ship before it enters service in April. Three more Avalon “Suite Ships” will have Panorama Suites with walls of windows that open to create a balcony and let in fresh air. 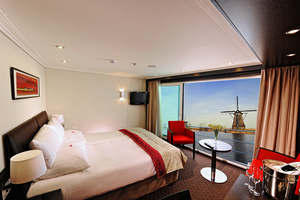 Avalon Waterways is growing its fleet of “Suite Ships,” adding three more in 2014. The new Avalon Illumination and Impression will each accommodate 166 passengers on cruises on the Rhine, Main and Danube rivers. 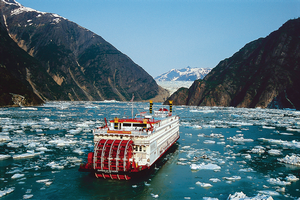 The Poetry II also will sail on those waterways but is slightly smaller, accommodating 128 passengers. The Suite Ships have two decks of 200-square-foot suites, each with a wall of windows that can be opened into balcony. 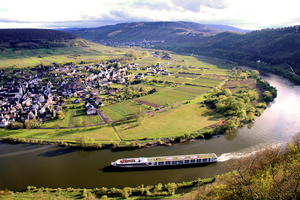 The new Scenic Jade is a sister “Space Ship” to the Scenic Crystal, pictured on the Moselle River. 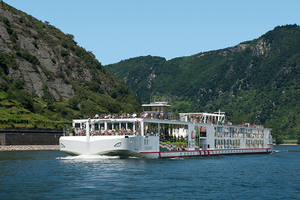 Scenic Cruises will launch two new “Space Ships” in 2014 — the 126-passenger Scenic Gem, which will operate 11-day trips in France, and the 169-guest Scenic Jade, which will sail on the Rhine, Main and Danube rivers. The vessels have multiple dining venues and staterooms with walk-out balconies that convert to indoor sealed lounges at the push of a button. Also, a new sister company will begin operations this year. The less-expensive Emerald Waterways is aimed at a younger demographic and enters service in April with two new 182-passenger ships, Emerald Star and Emerald Sky in Europe. Tauck will introduce two new 130-passenger river ships this year, including the Savor, pictured. 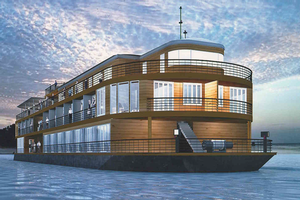 Tauck, the tour operator, will introduce two new 130-passenger river ships in 2014 — the Savor and Inspire, which comprise the new Inspiration Class. The ships will have staterooms measuring at least 150 square feet and suites of 225 to 300 square feet. Eight cabins on the lower deck of each newbuild will feature a “loft” design with a raised platform seating area and a much taller window that can be opened for fresh air. Uniworld’s S.S. Cathering will feature elegantly appointed staterooms and suites. 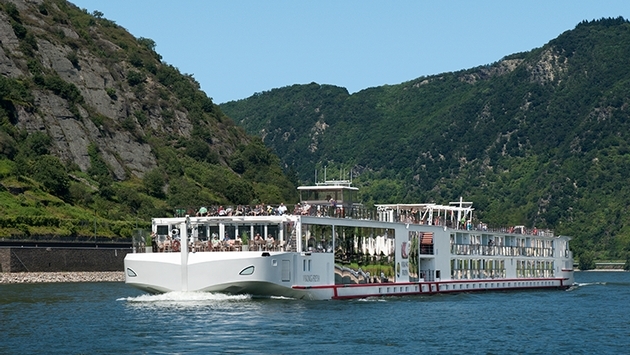 Uniworld Boutique River Cruise Collection in March will introduce the 159-passenger S.S. Catherine in France. The vessel, a sister to the S.S. Antoinette, will feature lavishly appointed staterooms and suites with full or French balconies. The ship will have a main restaurant with an outdoor terrace for al fresco dining, as well as a bistro. It also will feature Uniworld’s signature touches, such as classic furnishings, antiques and touches of marble. 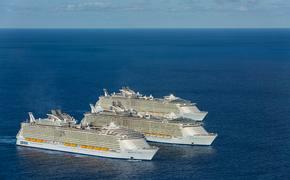 Also new for Uniworld in 2014: Starting in May, it goes all-inclusive, with gratuities, beverages, shore excursions and transfers included in the fare. Viking River Cruises will introduce 14 new “Longships” this year that are virtually identical to the Viking Freya, pictured on the Rhine River. 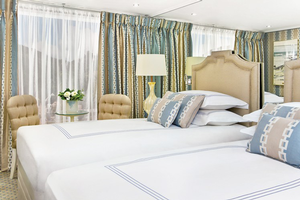 It’s another big year for Viking River Cruises as it introduces 14 new river ships. The 190-passenger “Viking Longships” will sail throughout Europe. By year’s end, Viking will have introduced a total of 30 new ships in a three-year period. In 2013, Viking set a Guinness World Record when it christened 10 ships in one day. Among the Longships features are a restaurant with floor-to-ceiling windows, a terrace at the bow of the ship for al fresco dining, and an organic herb garden, solar panels, putting green, and walking track on the sun deck.